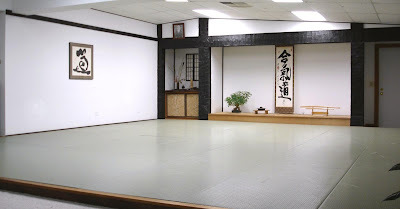 In most karate schools it is common for students to bow not only to the teacher and each other - but also to the shomen (front) where pictures of the dojo's founders are displayed. Karate students will be familiar with the expression "shomen ni rei" (or "shinzen ni rei") - ie. "bow to front/tradition". We used to do this but discontinued the practise in the mid '90s - partly because we did not want to associate our dojo with Shinto practices. We are, after all, a secular school and have no intention of promoting (or discouraging) religious faith of any kind. But lately we have reintroduced a practice of bowing, at least symbolically, to our teachers - both recent and ancestral. Why? Because we view it as a solemn acknowledgment of their contribution. We would not be standing where we are but for this contribution. As a tradition, our ritual bow is both contemplative and meditative: it makes us pause to appreciate those who gave us the knowledge upon which we are building. And I do mean "building". We are not mindless automatons, doggedly repeating the lessons of the past without inquiry or creativity. Instead we explore - and as a result our arts evolve. In case we miss something, we keep the original form there as a reference point: something to come back to in order to verify that we haven't strayed off course and misunderstood the lessons of the past. In this regard Leonardo da Vinci is quoted as saying: "Poor is the student who does not surpass his master." The central concept is that students should build on what their teachers taught. Indeed, that is the way humanity has progressed from the dawn of our species. It is the only way humanity has progressed. Inevitably this means that a student must absorb the instructor's knowledge - if not all of it, most of it - and then add something to this body of knowledge. As Isaac Newton is reported as saying: "If I have seen farther it is because I have been standing on the shoulders of giants." In an earlier essay I remarked on the incredible body of information contained in the "knowledge of the ancients". 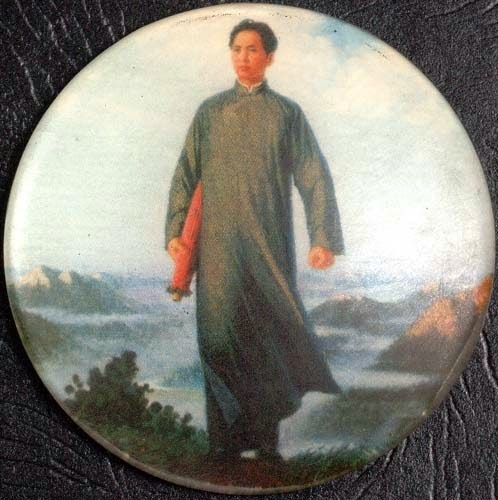 After all, traditional martial knowledge, while "antique", remains largely as relevant as it ever was. That is because have no reason to suppose that we, in our modern Western lives, have surpassed all the technology employed by our ancestors in unarmed or weapons combat. Martial arts are, by their very nature, concerned with primeval skills because they relate to our most primitive tools: our bare hands or extensions of these (in the form of sticks, swords or other weapons). If you think "modern innovation" has necessarily surpassed ancient martial knowledge, consider this: a large number of us in the privileged developed world will never face serious violence - that is a statistical reality for which we (fortunate) people should be grateful. Indeed many (most?) of us are likely to go through life enduring little more than a few of scuffles. Those of us who do experience more significant violence are most likely to do so in a domestic environment - which is certainly horrific, but in terms of prevention or management, a far cry from the "alleyway scenarios" painted by "reality-based self defence experts". Which leaves the average martial artist somewhat removed from our ancestors who lived in more brutish times. Disregarding those who engage in security, police or military work, the closest most marital artists get to "combat" is usually a controlled training or competitive environment. So if we are interested in civilian defence (as opposed to engaging in a very specific competition format, be it boxing, muay thai, MMA, kyokushin knockdown karate, sanda, san shou, BJJ, judo, western wrestling or fencing) we go back to the knowledge of the ancients. It is the traditional way. Have I expanded (or at the very least interpreted) that traditional way so as to add something "new"? Most certainly. But in every case, I have done so after careful observation of what has worked for me under pressure. 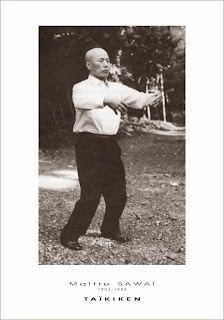 Consider, for example, the use of the taijiquan sequence known as "carry tiger home to mountain". I was first taught this sequence by my karate teacher Bob Davies, then my internal arts teacher Chen Yun Ching. Did either show me the specific application below - ie. against an o soto gari (outside leg reap)? No. I have however used this particular application for 30+ years, often in sparring against judoka and jujutsu practitioners - and it works. So this particular application goes into my personal "box of tricks". The same applies to many, many other applications I've "developed". I put "developed" in quotes because my interpretations are arguably so obvious one wonders whether I can claim to have developed anything at all: it is more likely that I've simply reinvented the wheel in each case. Am I "building" on what the masters taught - or am I finally understanding their lessons? You decide. 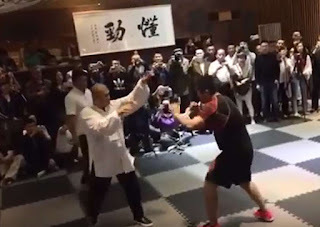 Here is another video taken on the same night, concerning the "rollback and press" movements from the taijiquan sequence known as "grasp bird's tail" - again taught to me by both Bob Davies and Chen Yun Ching. 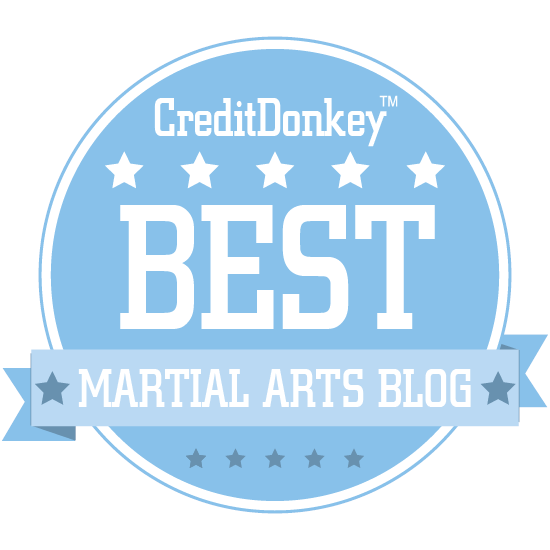 You'll notice that the above application uses the "pass" maneuver so ubiquitous now in wrestling, BJJ and MMA. In other words, it is "thoroughly modern" in some senses. 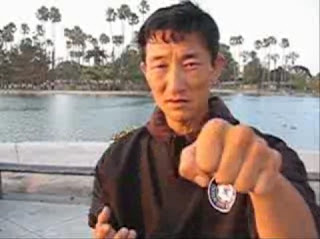 Furthermore, the way the elbow lock is applied, in particular the direction in which your opponent is directed, negates a dive by your opponent to your legs. Again, this seems terribly "modern" until you consider that I learned the importance of this concept not in a gym or cage but while training in a park in Hong Kong - where an internal master taught me some very timely lessons about civilian defence grappling. So I credit all my teachers - particularly my main teachers, Bob Davies, Chen Yun Ching and James Sumarac. 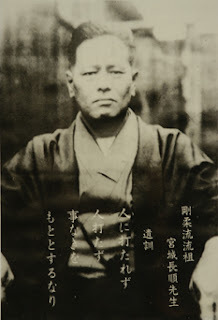 I have their pictures, and the pictures of our ancestral teachers (Chen Pan Ling and Chojun Miyagi) on our "shomen". I am proud to honour them with a bow each lesson. Nor does it matter that I left my first teacher, Bob Davies, at the end of 1996 after 16 years of loyal following. Just because you leave your teacher to pursue another path does not diminish their importance in your martial arts development - indeed in your life. Bob Davies will always be my teacher - and his picture will always hang on my "shomen". 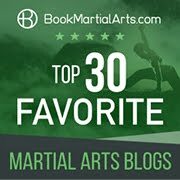 I am not only happy to credit his teaching (as this blog will testify), but I feel obliged to do so: the imprint he left on my martial arts (and my character) is indelible, his lessons lifelong. The same has been true of my beloved, now retired, master Chen Yun Ching and my esteemed teacher and mentor James Sumarac. 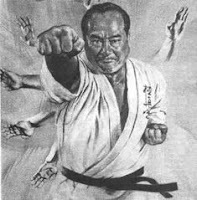 I notice that many students of the martial arts "fall out" with their teacher, then try to revise history, often rubbishing that teacher in the process. Assuming these students have had a productive career with their teacher (ie. they have not been totally misled by nonsense), what they don't realise is that in so doing they are rubbishing themselves - or at the very least, the knowledge upon which they rely. In the case of long-term training relationships, it is fair to say that you reflect your teacher - you are an extension of him or her. In my case, there was certainly a time when almost everything I knew came from Bob Davies. 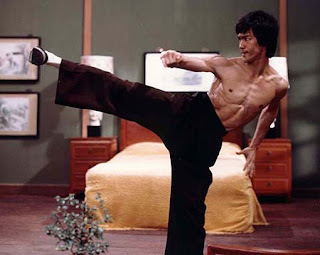 Even now, 20 years later, a sizable portion of my martial knowledge can be directly attributed to him. For that he has earned my respect. I am what I am because of him. And I am happy to acknowledge it, even if our formal affiliation ended long ago. We remain on cordial terms. Certainly my feelings towards Lao Shi Bob remain those of deep respect. This is a respect I owe him. Just as he owes a debt to his teachers and those before him. 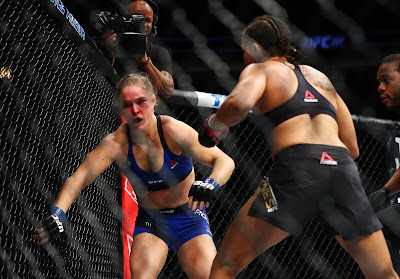 We martial artists are all subject to the same human frailties. We can have personality conflicts, we can have different objectives/goals and varying technical preferences. These are all fine. There is no shame in saying to your teacher: "I have decided to go onto a different path." Just be sure to remember where you came from - and to give due recognition for how you got to where you are. In the case of the classical arts, the knowledge you gained from your teacher is the product of a long line of tradition. Whatever you paid for this knowledge, it was likely far too little relative to what you gained. 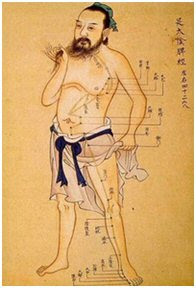 You benefited from hundreds of years of accumulated wisdom. You most probably paid less than you would have for a common gym membership. So at some point your path up the mountain might well diverge from that chosen by your teacher. If it does, never forget that your teacher - and your teacher's teachers - got you to where you are standing right now. And the farther up the mountain you are, the greater your debt to them. How is this debt discharged? Very simply: with appropriate acknowledgment. For these reasons I will continue the tradition of bowing to the shomen: I will acknowledge the contribution of my teachers. Whether or not you follow a custom of bowing to a "shomen" in your dojo, I believe it is incumbent upon you to observe at least the general principle embodied in this ritual. It is part of your giri: your duty as a student of the traditional martial arts.